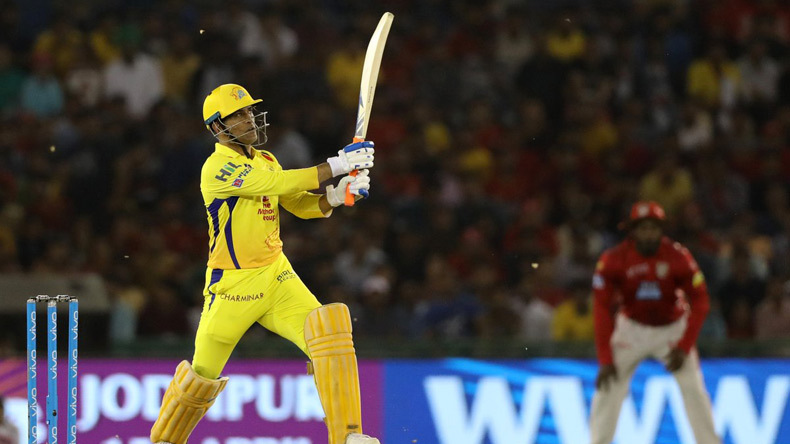 Former Team India skipper and current Chennai Super Kings skipper in the 11th edition of Indian Premier League (IPL) Mahendra Singh Dhoni played a tremendous knock against the mighty Kings XI Punjab (KXIP) on Sunday. The CSK captain was not only fighting the Punjab bowler while chasing a mammoth target, Dhoni was also suffering from unbearable back pain. The 36-year old in Chennai's reply struck an impressive knock where he almost brought CSK on winning side. When Mahi was asked about how managed to ace last night’s lofted shots despite struggling with a painful back, a humble Dhoni said that back was bad but arms weren’t!. Mahendra Singh Dhoni rolled back the good old times on Monday once again when he tormented Kings XI Punjab bowlers in and out at Punjab Cricket Association IS Bindra Stadium in Mohali. Considered as one of the best finishers in limited over format, the former Team India captain and current Chennai Super Kings skipper was at his level best last night as he almost chased a mammoth 198 runs target in 12th match of the ongoing Indian Premier League. Dhoni played exemplary best despite suffering from unbearable back pain. Dhoni always had weight on his shoulders whenever he stepped in the gentlemen’s game. Whether he is leading his Yellow army in domestic cricket’s extravaganza in India also known as IPL or he is upping the ante for the Men In Blue, Dhoni always leads by example and sets unmatchable benchmarks for his peers. In the 11th season of IPL, the night was quite similar for the ferocious Indian batsmen and Chepauk talisman — full of expectations with a mammoth target to chase in order to register another memorable triumph for CSK. The 36-year old batted pain and slammed Punjab bowlers out of the park with fellow Indian compatriot Ambati Rayudu. Dhoni struck his highest score in the IPL and scored 79 in just 44 balls to take CSK at the doorsteps of another unbelievable chase. When Mahi was asked about how managed to ace last night’s lofted shots despite struggling with a painful back, a humble Dhoni said that back was bad but arms weren’t. “The back is pretty bad but God has given me lot of power and I don’t need to use my back a lot. My arms can do the job,” MS Dhoni was quoted as saying by PTI. “It shouldn’t be too bad because I know what happened. And when you know the extent of your injury, you know how bad it really is,” Dhoni added.